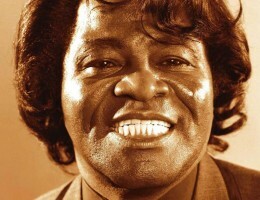 By DJ Salinger, BEIJING – Early reports coming out of this world-class Olympic city are confirming what the rest of the world has believed to be true for well over a year – that James Brown has died. “We think he may be dead,” said Richard Wagoner, a spokesperson for the People’s Republic of China. Most town criers in cities around the globe reported Mr Brown perished over a year ago, yet China held off on rendering a decision on the rumors until today. Western media outlets have often criticized the Communist nation for its censorship of news outside the country. Chinese authorities denied censorship played any role in the delay to decide whether Brown had passed or not. “As you know Chinese are cautious. We don’t like to make hasty decisions like to invade Iraq in just 48 hours notice and so on – it is very impolite,” explained Mr Wagoner, gripping my arm. Ignorant foreigners often confuse censorship with fact-checking, explained Beijing University Professor of Journalism Ray Goolens who studies Chinese in Starbucks coffee restaurants in his free time. “Americans in particular are the worst,” Indiana native Goolens says, wiping foam off his upper lip. “The Chinese have the best news organizations on the Earth; unlike you guys they put in the time to check their facts so that when they tell you ‘James Brown is Dead’ you can better be sure that you’re not going to see James Brown walking around your local Circle K in the middle of the night chewing on a Slurpee or something,” he went on. Stories of celebrity deaths are often shrieked by unpaid town criers in most big US cities as soon as any hint of their passing has been picked up by teenagers and their parents and grandparents using the fabulous online social networking tool Fluffer. “I think they should shoot the town criers,” said Goolens. “That kind of racket wouldn’t last five minutes over here,” he boasted. The People’s Republic News Service says Mr Brown died this morning in his sleep, in his Beijing home. “It was death that killed him – death,” explained Chief Beijing Medical Examiner Hortense Cable. The maverick US soul singer wowed millions with his explicit lyrics and tussles with the cops. This entry was posted in Exclusive!, Thinking Man's Rock and tagged china, chinese censorship, circle k, dj salinger, fluffer, james brown, olympics, online social networking, ray goolens, the brutal times, town criers. Bookmark the permalink. send me a google alert every time a celbrity dies!! !